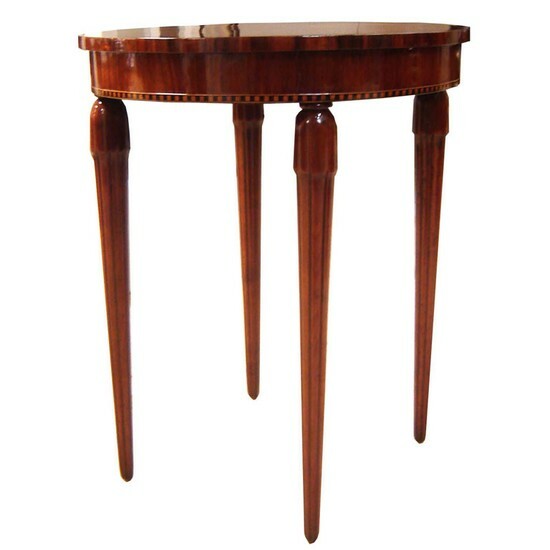 A superb late 1920’s American art deco tea table in the French taste. 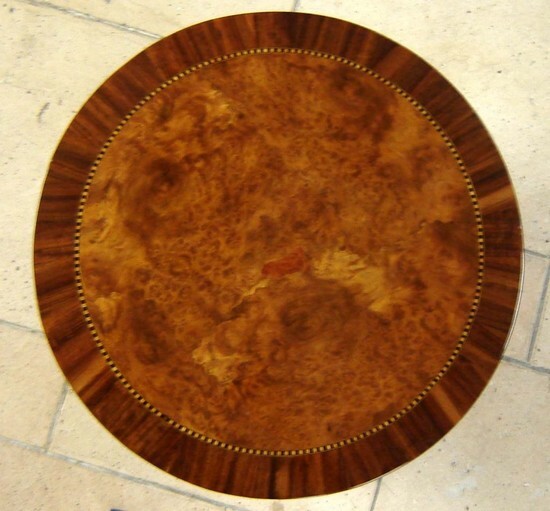 The table combines rosewood and burl wood veneers with ebony and sycamore marquetry. 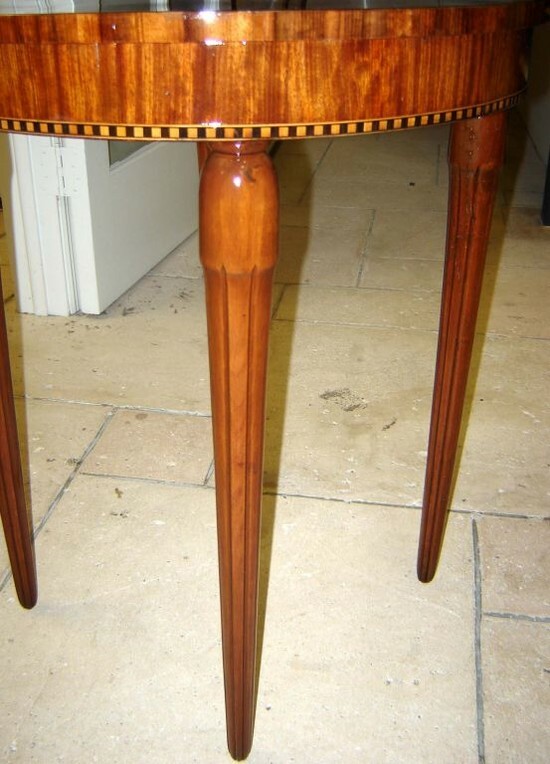 The tapering reeded legs are of solid rosewood with a smooth collar where they join the top. The rosewood apron has a lower band of sycamore and ebony marquetry. 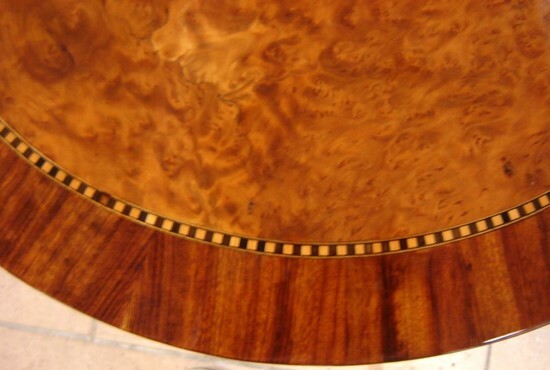 The top features an outer ring of rosewood, an inner band of sycamore and ebony marquetry and a spectacular center of burl wood. 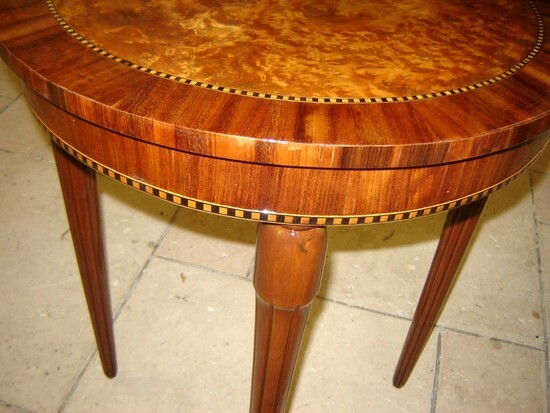 The table is 29” high and 24” in diameter.